Munmun is very good at her work and very fast as well. The designs she made was very detailed and looked very pretty. She is a lovely person and very friendly. 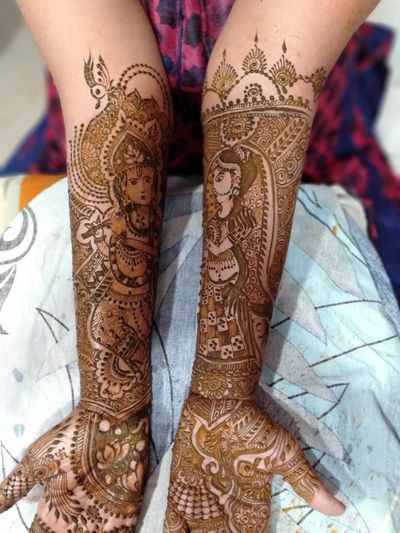 The mehendi she used was of very good quality , the colour of mehendi faded in a natural way and not like the chemical ones which peels off. I highly recommend her work.